Access here all catalogs with Lone Star College’s academic offerings. For a Virtual tour of Lone Star College click here. Why choose Lone Star College? The right path to a successful career starts here with our seven campuses, affordable tuition, small classes, and flexible schedules. At Lone Star College, the first step to going far is closer than you think. In fact, if you live on the north side of Houston, you’re probably less than a 15 minute drive from a Lone Star College campus. Lone Star College System provides comprehensive educational opportunities and programs to enrich lives. 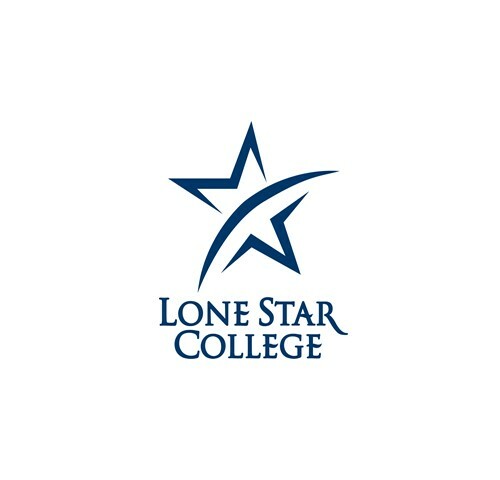 Lone Star College will be a model college globally recognized for achieving exceptional levels of success in student learning, student completion, gainful employment, equity and affordability. Dr. Stephen C. Head, Ph.D. is focused on student access, equality, success and completion; academic quality; workforce programs in alignment with community needs; and collaborative agreements with educational, business and local civic organizations. Interested in knowing more about who are LSC students? Click here for more information on LSC Fast Facts. All students start the admissions process by submitting the application for admission. Click here for more information or here to look specifically at the admissions process for transfer students. Interested in learning more about our campus and center locations? Check out the maps to find the LSC location most convenient for you. Many campuses also offer campus tours click here for contact information so you can schedule a tour. After applying, all students who are enrolling in college for the first time since completing high school, or the equivalent of high school, are required to attend a New Student Orientation session that they choose through their student portal in my.lonestar.edu. Orientation is not a requirement for transfer or non-degree seeking students, but these students can complete the online orientation by request. To do so, send an email to admissions@lonestar.edu for access to the online module through the my.lonestar.edu student portal. All LSC academic plans and majors are organized into eight Areas of Study. Suggested course plans (Pathways Plans) help students plan and register for the right courses to complete their academic goal. Check out the pathways or programs to explore what LSC has to offer. All LSC students may visit with an academic advisor who can help them select the best courses for their academic goals. Click here for contact information and hours of operation for each LSC location. At LSC we have many resources to help you get the student experience you are looking for. The Student Services staff are knowledgeable about campus resources for veterans, career services, and learning resources. They are also a great resource to help students navigate the admissions process, get connected to advising, or learn more about financial aid. Click here for contact information and hours of operations for each LSC location. LSC has a variety of ways students can get involved at their campus. Visit the following link to learn more about student clubs and organizations, intramural and club sports, and the Arts at LSC. To learn more about the degrees and courses that are offered fully online, click here. While all first time in college students are required to complete the Student Success Course (EDUC 1300), any new student is welcome to enroll. See an advisor for more information. There are many types of financial aid that students may qualify for. Some aid does not have to be repaid by the students (such as grants, scholarships, and work-study programs). For more information on how to apply for financial aid and what types of aid options are available, visit here. Need more information? Request additional information about LSC programs and students services by submitting the “Request Info” form available here. Please make sure to fill out all of the fields so we can make sure to send you the most complete information related to your request.